The “Guiding Year” is almost upon us now and registrations are going great in Burnaby Mountain District. We had our first day of promotion at Lougheed Town Centre today and will be back on Sunday, meeting the community. We are especially promoting our Pathfinder unit at this time and have come up with an awesome way for girls of that age to try out a taste of our program to see if they’re a good fit before committing to registration. Have you ever thought about joining Girl Guides? It’s not too late! Pathfinders enjoy girl-centered programming focussed on the things that girls enjoy. 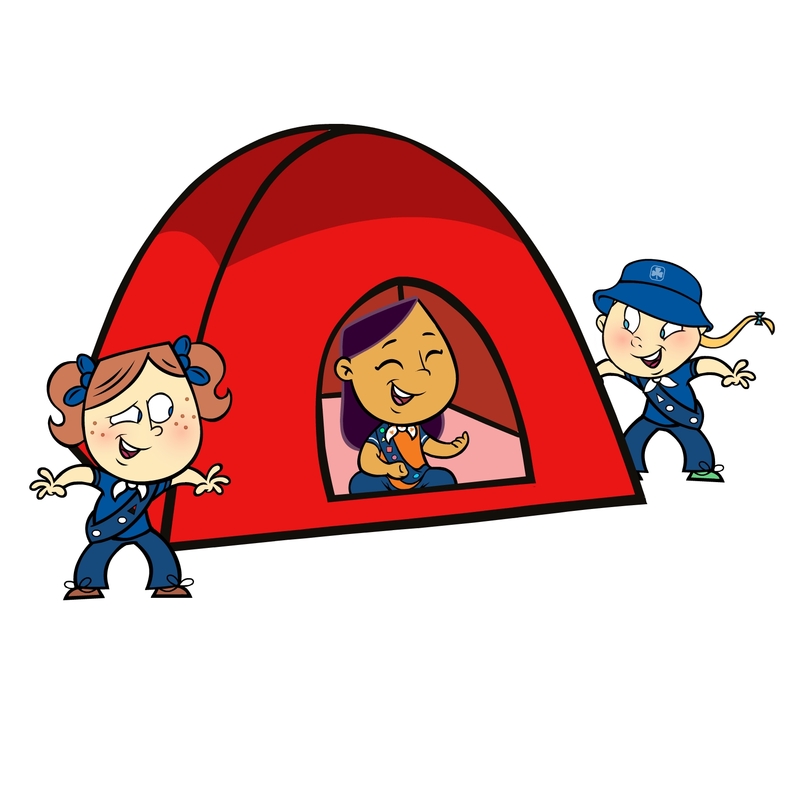 Typical activities include outings, camping, community service, skill building, and arts. If you’re a 12-14 year old girl, try this taste of Pathfinder’s event without committing to joining the group – if you have fun, then you can register after! Interested in signing up? Contact webmaster@ggcburnabymountaindistrict.com for details. Come with a friend – maybe you’ll both want to join. 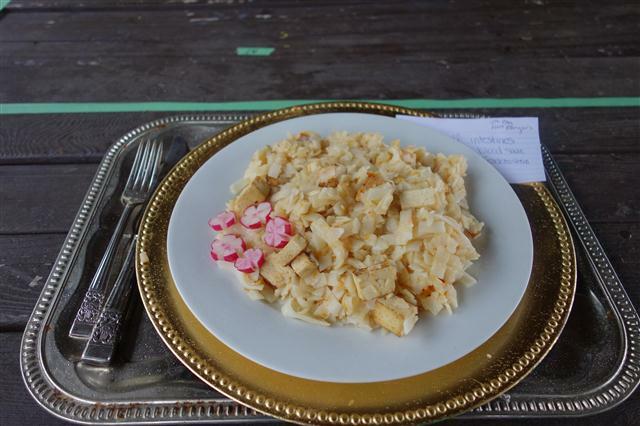 A few weeks ago (October 27th), the 12th Burnaby Mountain Rangers participated in West Coast Area’s Iron Chef competition. Girls in groups of 4-6 were asked to prepare a three course meal on camping cooking equipment using the secret ingredients provided. This late-October event had a Halloween theme. 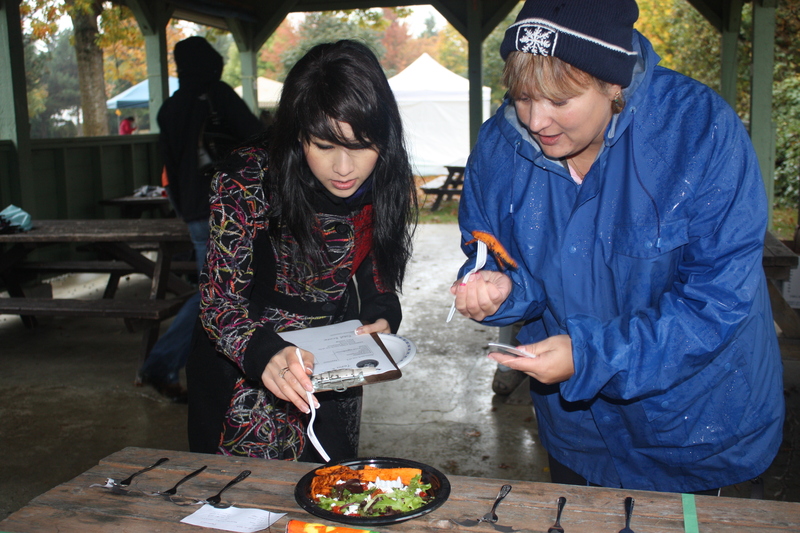 One of the guest judges, Mijune Pak (of FollowMeFoodie blogging fame!) posted about the event, including plenty of pictures. Check out her post here! 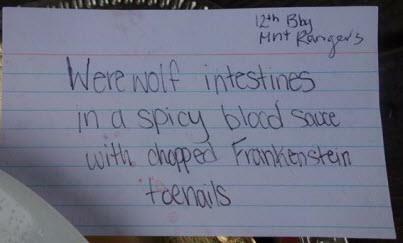 Our Rangers won a certificate for Best Food Descriptions — check out some of their work! One of our adult members, Co-Treasurer Niki, attended as a judge as well. She said that the event was tonnes of fun and that nobody even noticed the rainy weather. Big thank yous go out to all the hardworking individuals at West Coast Area who helped to plan and execute this awesome activity for older girls. It was a really fun day.